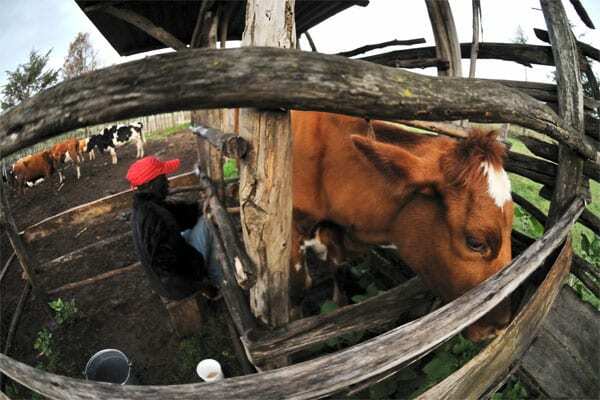 Margaret Wambui Ngure used to consider dairy farming an inadequate way to earn a living. No matter how hard they tried, Margaret and her husband couldn’t turn a sustainable profit with their herd of indigenous cattle. 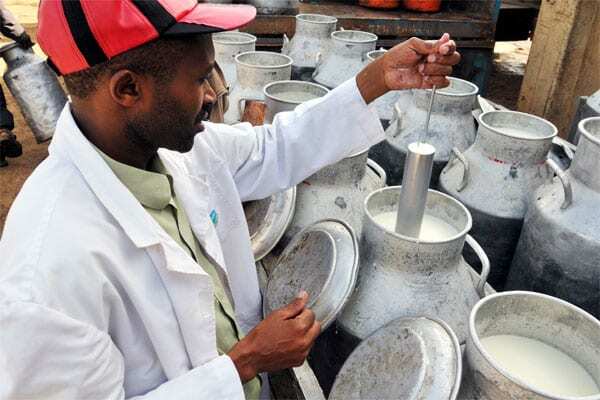 Traditional breeds often produce as little as one gallon per cow per day, and the high cost of feed prohibits farmers like the Ngures from viewing dairy as a viable livelihood. Life is difficult for farmers such as the Ngures. 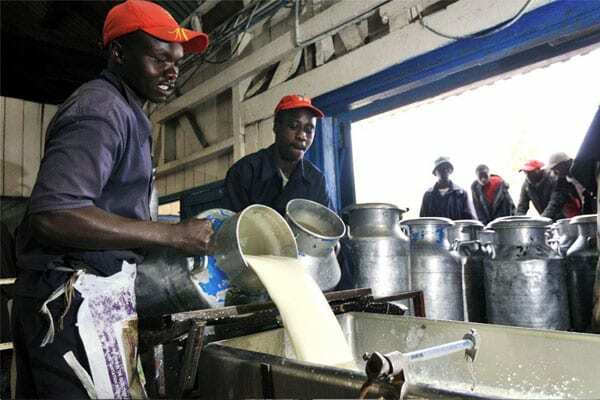 They often have few market outlets for their milk, poor access to information on improved dairy production practices and limited access to business training. To address this, TechnoServe helps dairy farmers develop rural-based bulk milk cooling plants. 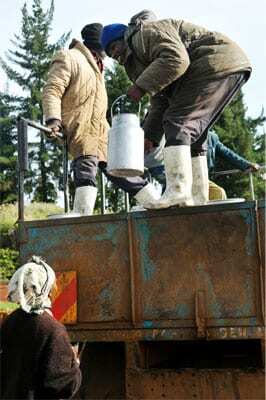 Farmers sell their milk to the cooling plant, which bulks and chills it, and then sells to large urban processors. The increased volumes allow the chilling plants to negotiate higher prices than the Ngures could earn themselves. The plants also operate as a business hub - offering farmers a wide variety of services, including access to finance, agricultural inputs and health information. 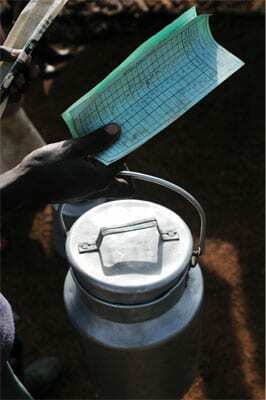 For example, farmers can get advances on milk purchases to pay their children’s school fees. The opening of the plant has created a host of new jobs and pumped millions of dollars into the local economy. 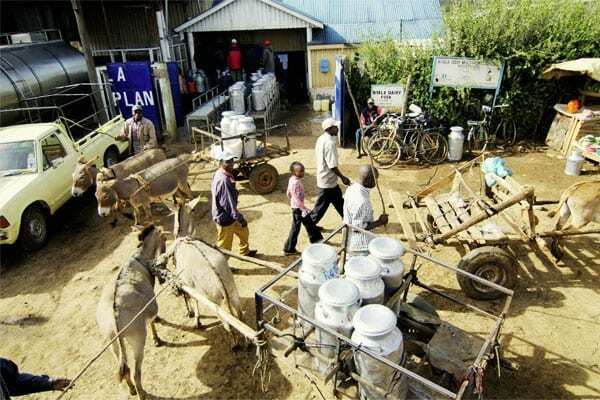 In 2012, Nyala employed 65 people and bought milk from 7,800 local small-scale farmers, with total sales of more than $7.2 million. Moreover, Nyala’s impact indirectly benefits more than 20,000 local residents. To empower female farmers such as Margaret (roughly 60 percent of the farmers in the Nyala area are women), TechnoServe developed initiatives specifically targeting women. Margaret joined other women on a field trip that aimed to enhance their education and business knowledge by visiting some of Kenya’s top-producing dairy farms. The field trip and subsequent training sessions opened Margaret’s eyes and helped her see dairy farming as a business. She developed a business plan and convinced her husband to sell their indigenous herd and purchase Holstein Friesian cows, which can produce an average of eight gallons a day. One of the greatest challenges Margaret faced was keeping her cows healthy, especially during the dry season, when some of her neighbors lost their herds to dehydration. Determined not to lose her investment, Margaret began implementing new water conservation and feed preservation techniques. She switched from low-value and low-productivity crops such as corn and beans to fodder crops such as beets and oats, which improved her herd’s nutrition. Margaret also learned the importance of keeping her herd healthy; she never used to de-worm her animals because she considered it an unnecessary expense, but now she does so monthly in order to boost milk production. 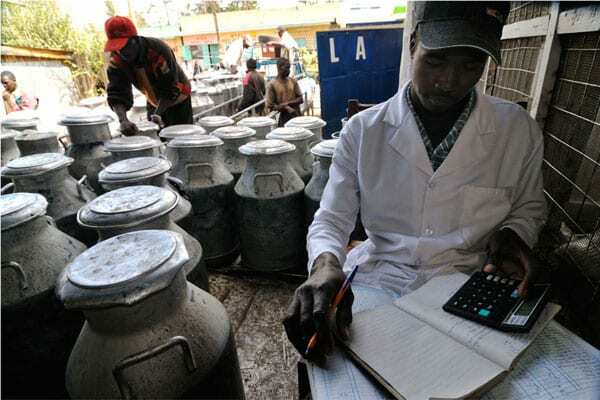 Nyala Dairy allows Margaret and other farmers to benefit from such services by establishing monthly credit accounts based on average daily milk volumes. The monthly payments are then deducted from farmers’ total sales. This system ensures Margaret access to supplies and cash advances that the family uses for school fees and medical costs. Margaret’s business acumen is paying off - she delivers eight gallons of milk a day to Nyala Dairy, assuring her an income of $191 a month. This places her well above the dollar per day on which more than half the Kenyan population subsists. With her higher income, Margaret is able to meet her household’s basic needs and invest in her farm, creating a cycle of sustainable development. Margaret now believes in, and has personally witnessed, the potential of dairy farming to transform lives. She says she is encouraging neighbors to participate so they too can realize their dreams and turn their dairy farms into profitable businesses.